A real sense of urgency is rare but it's invaluable in a world that will not stand still. "In a fast-moving and changing world, a sleepy or steadfast contentment with the status quo can create disaster – literally disaster." Frenetically activity people coping with many issues, few of which are central to the organization's success and future growth, is not a sign of a sense of urgency. It's a sign of a false sense of urgency. John Kotter says its all about leadership. Vern Burkhardt (VB): You have conducted an extensive amount of research and written many articles and books about change. What initially led to your interest in the topic of change, and what sustains your interest in it? John Kotter: I'm interested in performance of companies, and performance of managers. In studying and trying to understand performance I was drawn to the topic of change. Change can be measured in many different ways. The companies that are performing better have people in managerial and executive positions who are more able to find opportunities in this increasingly changing world. VB: While the pace of change can feel overwhelming to many, you advise there are ways of handling change that can be smart, challenging, fun, and offer wonderful opportunities. Would you talk about the fun part of handling change? And the fun of winning? John Kotter: I think everybody – probably not everybody – but most people like to win. It's just fun, and is driven by competitive genes we have inherited from a long time ago. Change fits into it. You can change and win. A lot of the reason people change is not just to avoid a rock from falling on them – it's more proactive. It's grabbing an opportunity and beating a competitor. Most people, just like in athletics, like to win. It's hard to win these days if you don't know something about change. VB: In the research you conducted for Leading Change you found that over 70 out of 100 efforts by organizations to produce large-scale change "were not fully launched, or the change efforts failed, or changes were achieved but over budget, late, and with great frustration". Were you surprised by this high failure rate? John Kotter: Yes. I didn't think it was going to be good, but I didn't realize it was that bad. To take it to the next level the number of cases that you, I and others would look at and say, "Boy, this is the way to do it" is around 5%. VB: Would you talk about what you call the "dysfunctional granite walls found in so many organizations"? John Kotter: Bureaucracies have to be organized internally for good reasons. The problem is if you leave a department, division, or an office – any kind of an organizational unit – long enough it's like teeth. It picks up plaque and the plaque can grow thicker and thicker until it's a granite wall. The problem is information increasingly needs to flow horizontally through those granite walls and it can't. The granite kind of kills it. People need to flow through those walls but they can't. So the plaque is worse – I'm mixing metaphors here – than just producing a few problems with your teeth. In an organizational sense it is undermining basic functions that are needed for winning, the most basic of which is quickly getting information from place to place so sensible decisions can be made. VB: You identify "senior management's happy talk" as being one of the signs of complacency that reinforces the status quo. When you are studying an organization how do you determine if there is too much happy talk directed at employees? John Kotter: Good question. If you look at a copy of any speech that's been made, any major memos that have gone out to a significant number of people, or if there's a newsletter, a company magazine, look at three of four of them. Most of us will quickly realize – it doesn't require some kind of sophisticated diagnostic assessment – if it all seems to be rosy news, as opposed to anything substantive about the reality of the situation. If so, it's happy talk. VB: Would you talk about a "false sense of urgency" and why it is dangerous to an organization's health and survival? John Kotter: I've been talking about that a lot since A Sense of Urgency was published. I'm now even more convinced, than when I finished the book for publishing about ten months ago, that a false sense of urgency is deadly. Right now people in an increasing number of organizations are saying we've got to do something. We can't, in this economic mess, just stand still. Leaders at the top of organizations look down and see all sorts of scurrying around, reports being made, people working overtime, and endless meetings. If anyone was to say to them, "do you have a sufficient sense of urgency to start making the kind of changes you need to make" they would respond with a rather dumb look. They wouldn't even want to talk about it because it seems so obvious. That's why a false sense of urgency is so dangerous. People in these organizations are involved in activities without having the sense of urgency they need to make some big changes, to make big things happen. That's why they end up in the 70% group. VB: The central conclusion of The Heart of Change is "feelings are more influential than thoughts". Would you talk about this lesson for leaders? John Kotter: Look at some of the classic leaders in history – pick the ones you like. Of course, most of the classic ones we know about are political leaders, some may be military. Examples would be Lincoln, Churchill, or Mandela. We rely on what others have written about them, but if you look at the best stuff by authors who draw directly from speeches heir subjects made, or who directly observed these figures, you'll find they are or were very smart people who think clearly. In World War II, Churchill got people in London to avoid panic and not run into the countryside. They didn't abandon their military positions even though it looked hopeless at one point. The Nazi war machine was so powerful, and Britain had nothing. A rational person would say get a visa if you can, and move to the United States. Churchill didn't convince his people to go into the armed forces, stay in London and keep doing what was needed in factories, in government, and the rest of the economy, by giving them a business case for why Hitler was going to fail and they were going to win! "Leap of faith" oratory, such as love of country and countrymen and a deep desire to have good overcome evil, appeals at an emotional gut level. That's what Churchill used, as did other great leaders. Great leaders could think very clearly, but they didn't win over the hearts and minds of people and convince them to make great sacrifices and do remarkable things by giving them business cases. Or by making only rational arguments. VB: You say that complacency, a false sense of urgency and a real sense of urgency are not just thoughts – they are also feelings. Is it emotion that makes these so powerful, either for change or for protecting the status quo? John Kotter: It's interesting you ask this question because that's an insight I don't think most people would necessarily have. Emotion is such a fundamental driver of behavior, whether that behavior is doing something heroic, refusing to move, or hugging a tree – it's the same driver. The behaviors can look radically different, but it's the same emotional parts of us that are driving those behaviors. VB: What signs indicate there is a "true" sense of urgency in an organization? John Kotter: A really true sense of urgency, at an intellectual level, is the awareness there are huge opportunities, and probably huge hazards to deal with. Emotionally it's that leap of faith and a gut level determination that I'm going to get up every day and do something that's going to help us grab those opportunities and deal with the hazards in order to win. The leap of faith is believing that what I do will make the difference. In terms of behavior, a sense of urgency creates hyper-alert action so people don't get caught up in naval gazing. Rather they look at the outside and at their own agendas. They dump low priority items, or delegate them to others because they want so much, at some gut level, to win. Their behavior becomes a role model for other people around them. A true sense of urgency is one of those things that if you see it, you immediately recognize it. It's not difficult to see. If I took motion pictures of a middle level manager with a great sense of urgency, and of one who doesn't have it, and showed those pictures 98% of viewers would figure out which of the two had a sense of urgency after looking at only five minutes of the films. VB: When a vision for an organization is developed in the absence of a sense of urgency is it destined to be weak and to fail as a rally to action? John Kotter: When visions are developed in the absence of a sense of urgency you find busy people getting dragged into conference rooms for an exercise their hearts aren't into, with somebody at a flipchart talking about vision. In this type of situation you can see people looking at their watches. A few people may think it's an interesting exercise but their hearts and minds won't be involved, and you won't end up with a good product. Even more often people don't even have a visioning session because they don't have a sense of urgency. They contract a consulting company to develop a corporate vision for a predetermined amount of fee. The problem with that approach is because it was developed externally, nobody quite understands it, has any emotional commitment to it, or feels a sense of urgency to do anything to implement the vision. The result is the vision doesn't get well executed, if at all. VB: So developing a good vision is an exercise of both the head and the heart. Does a good vision always evoke emotional reactions leading to a sense of urgency for change? John Kotter: I think the very best visions do. They not only point to a direction or provide some visual sense, they also produce some visceral internal reaction that makes us want that future. That means a vision can't be just a lot of numbers. It won't work. One of the most striking visions I ever read was Walt Disney's vision of the original Disneyland in Las Vegas. It was about a paragraph long – maybe it was a long paragraph – and talked about the experience Disney was trying to create from the point of view of the customer. A lot of that vision was expressed in emotional terms. I remember the first time I read it and my thought was "boy is that cool; would I like to have been working with him on that project!" My reaction wasn't just at an intellectual level. If I had been working with Disney on that project it would have been good for my career but I was being drawn in at a different level. So yes, I think the best visions do appeal to you in heart as well as mind. VB: You say that a true sense of urgency has to be created and re-created since "it's not a natural state of affairs". What advice do you have for those who feel tired and unable to handle more change? John Kotter: That's a tough question. If you can't handle more change by and large that means you're going about it wrongly. That's why you run out of energy. Image you want to get from here to fifty feet from here, but you keep running into a wall. After doing that about six times you will be exhausted. The way you were going about it probably wasn't the best way. Perhaps you should look for the door. A lot of the exhaustion people feel about change is not due to the change itself. If you're making the change the wrong way it can be a killer. The answer to the question of how not to get exhausted is simple – do it the right way. VB: Why do well-researched, well-documented business cases for new initiatives often lead to failure? John Kotter: Hmm…business cases. It's one thing to have an idea and another to bring the idea to life. In this case we're talking about creating a business. There are countless ideas out there, but the number of people turning them into successful businesses is very small. This means there has to be more going on than just the idea, which gets encompassed in some type of logical form as a business case. There could be a lot of reasons for failure – I don't think there is only one. Likely the people implementing the initiative have no emotional attachment and commitment to the business case. Often they don't even understand it. In some instances, the business case isn't well done – I don't know what percentage but it's likely a surprisingly high figure. If the implementers don't understand and agree with the business case, they will have no emotional connection to it. Such a connection is an important factor in generating the huge amount of energy required to start a business. Another possibility is that the business case was wrong in the first place. VB: Is the term "managing change" an unwise term when used in organizations? John Kotter: This is one of my hobby horses, which I haven't been very successful in helping people address, because "managing change" and "change management" are words that are ingrained everywhere. It's the way people talk about change – in business schools, universities, and business writings. It's universal! Ironically it's one of the reasons people do it wrong – our research shows that 70% do it wrong. The fundamental driver of the change process is leadership; not management. Not that management doesn't play a roll in keeping the whole process under control, having the kind of plans and controls an organization needs to implement change efficiently. But that's not the heart of it. That's not what drives change. It's all about leadership, hence the notion of leading change. "Change management" and "managing change", which are firmly driven into managerial thinking and even into the broader culture, won't help us address the dilemma we currently face in the economy. I think these terms cause mischief. They suggest a method for making change that doesn't work well. VB: A better term would be "leading change". VB: You say, "Nothing undermines the communication of a change vision more than behavior on the part of key players that seems inconsistent with the vision". Does this observation apply especially well to banks and other corporations currently receiving or seeking financial bailouts? John Kotter: One of the funniest, but sad, scenes we've witnessed in the last couple of months was the three rather pathetic heads – maybe using that description is unfair, condescending. The heads of the three major auto companies going to Washington DC in their corporate jets to beg for money. All this type of behavior does is produce cynicism back in Detroit which, of course, undermines their capacity to provide the leadership necessary to make anything happen. That event was picked up by a lot of news media within a nanosecond, and those corporate heads, quite legitimately, were made fun of. VB: Wasn't it Citibank that had a new jet on order? That was another example. John Kotter: The whole thing is crumbling around them and over a million dollars is spent on one office redecoration. As my wife says, "These guys just don't get it." No, they just don't get it. VB: And maybe never will. John Kotter: Maybe they never will. They would if they were true leaders. VB: Is it inevitable that large organizations, whether corporations or public institutions, end up with structures that do not empower their employees? What can be done to avoid this pitfall from the beginning? John Kotter: One of my favourite examples is Southwest Airlines. It has, from the beginning and still does today, done a remarkable job of empowering its people. From that case alone we know it's possible, but it's a rare exception. If you look to the future of an ever faster changing world, lessons can be learned from these sectors that are changing the fastest – medium to large sized high-tech firms are instructive. In order to function well they have to delegate a lot of power to their creative people. VB: Can long-term change initiatives be sustained without including short-term goals and successes? John Kotter: I don't think so. Having short-term goals gives credibility to a leap of faith you're asking people to make. It sustains credibility when employees start to get tired, and offers them opportunities to celebrate and pat each other on the back. It "dis-empowers" cynics. These are some important reasons why the short-term wins are key – I'm sure there are many more. VB: Why should leaders of organizations continually drive for change, continually set goals that appear impossible to achieve? John Kotter: It's amazing how complacency develops so quickly and easily. If you're successful for a period of time complacency sets in. One way people have found to deal with complacency is to constantly set very ambitious goals that people simply can't accomplish by doing things the way they're doing them right now. They either have to rebel against your goals, or change and find better ways to achieve them. Leaders are very successful at coming up with audacious goals, and getting people to buy into them. When people who don't have credibility as leaders try to set such goals everyone looks at these large goals, thinks they are impossible to achieve, considers the goals stupid, and the result is no action. VB: Would you say one should never declare victory in implementing a major change unless it has been fully incorporated into the culture of the organization? John Kotter: Yes. The problem with any kind of change, because of the pull of tradition, is it can be fragile. It's amazing how some people will go through huge "customer first" efforts, and it will look like they made great progress. But when you take measurements three years later, the initiative has had no impact, and the organization has reverted to the old status quo. That's not unusual. The pull of the old ways can be very strong. You've got to make change stick, and the most powerful way to make it stick is to ingrain it into all your systems – that's the first level in the organization. The second level is the culture. VB: Would you elaborate on what you describe as "overmanaged, underled corporate culture"? John Kotter: When I starting looking at the theme 'management is not leadership' it became apparent that many companies, especially big, older companies, had strong management but weak leadership. They were taking management to a ridiculous extreme, planning to almost an absurd point. Effective leadership for promoting and making changes was missing while the management aspect was a problem because it had been taken beyond what is rational and sensible. In those cases there were so many control mechanisms that the employees were almost in cages. It's hard to develop great products and services if everybody feels like they're in San Quentin. VB: It kills initiative and innovation? VB: Are you seeing more companies make transformations by leading change in the way you recommend in your books? John Kotter: Oh yes. The problem is transformation is not happening as fast as is necessary in many companies. I hope to the extent that it is occurring, it is to some limited degree because of my work. If I had my wish people would be getting better at leading change a lot faster. VB: I gather you do not think one needs to be born a natural leader; rather it is a learnable set of skills and tactics? John Kotter: Everybody is born with some potential that overlaps with some aspects of leadership. Potential is just that, it is potential. It doesn't mean anything. It has to be developed into a set of perspectives, insights, attitudes, and skills. Part of the problem is we have a lot of potential but it hasn't been developed. Even if we have the requisite skills it's not enough – they have to be used. There's a gap between developed skills and how much people actually stick their necks out and use them. The relevant issue is not the made or born question, which is the one many people like to argue about. The main issue is the large gap between potential and people actually using that potential to develop and use leadership skills. If we, in a company or as a society, could shrink that gap it would make a big difference. VB: You must have anticipated the fable of Our Iceberg Is Melting, which was published in 2005, when you wrote Leading Change in the mid 1990s – the cover includes penguins on an iceberg. What led you to create this powerful fable to illustrate how to bring about major change? John Kotter: Holger Rathgeber, my co-author, deserves the credit for having that inspirational breakthrough. Holger's a wonderful, creative, and terrific human being. He'd been using the concepts explored in Leading Change at his work for Becton Dickinson, a medical technology company. He had to come up with a presentation for his senior management and, instead of doing PowerPoint slides, he created an exercise in which he made them all penguins on a melting iceberg. I'm sure the little image of penguins on the book cover was in his brain. He thought the exercise worked well, and he got in touch with me. I loved the concept from the beginning. I tried to help him with his training work, and then I finally said, "I'm not a trainer, that's not my thing, but I think this would make a great book." That's how we got off and running with the book. VB: And it did make for a great fable. John Kotter: I love it. VB: You tell leaders that stories with drama and emotion are more effective in communicating than PowerPoint slides with abstract ideas, or other slick presentations. You effectively demonstrate that point with your Our Iceberg is Melting fable and the story about Ninan, in A Sense of Urgency, who "is a congruent, nonstop, urgency-creating machine". Would you talk about the power of stories? John Kotter: I started thinking about that at least a decade ago by simply watching and observing. That's what I do. I observe. Some of the people I observed I would describe as far better than average, if not great leaders. If you're careful in observing them and comparing them to the average leader, or to people nobody would say is a leader, there is a pattern. The better leaders make use of stories. They're also better story tellers. This is an empirical fact I bumped into. When you think about it – which is what I've done for the past decade, and that's partly what lead to the Iceberg book – you begin to see the logic of it. I became interested in neurology about five, six or more years ago – the study of the brain. If you go back in history and think about how people learned before we had writing, it was all stories. There were no abstractions. It was stories about the way you escaped the sabre-tooth tiger, a story about Uncle George and grandfather. This is important because it probably goes back far enough that our brains are genetically programmed for stories. VB: How would you alter your fable in Our Iceberg Is Melting to make a point to world leaders about the urgency for action related to Earth's climate change? John Kotter: You don't have to alter it for those people who are trying to stimulate more action on climate change, but who have theories about climate change that aren't as good as they need to be in order to achieve their own goals. I don't know whether or not you could take someone who sincerely doesn't believe any of the fundamental theory behind global warming and climate change, and convince them using some variation of my Iceberg story. I do believe that if you could take activists, who are trying hard to convince and mobilize people to deal with the problem, the book would help them understand more about the dynamics of climate change. They would be a heck of a lot more effective. VB: You indicate that insufficient urgency, with all its consequences can be found in all types of organizations – even in a whole country. How does it apply to a whole country? John Kotter: Let's go back to complacency. Complacency tends to be a function of success, and it doesn't have to be success yesterday. It could be success some time ago as long as it was sustained over a period of time. It means any country that has been successful over a significant period of time is subject to becoming complacent and losing any sense of urgency its founders may have had. That's the way large-scale human systems work even at the level of a nation. Which means, among other things, if we're concerned about this wonderful country – United States – that we've grown up in, one of those concerns should be that we've been astonishingly successful in the last hundred years. We should worry that it has led to complacency, which is the last thing we need as the world moves ever faster and with more volatility. VB: I suspect when you wrote in Leading Change "…most experts agree that over the next few decades the business environment will become only more volatile", you weren't anticipating the current world-wide financial crisis. What message do you have for the leaders and employees of companies that are being seriously challenged by today's difficult business climate? John Kotter: Number one, don't get into a false sense of urgency – anxiety-driven panic because that doesn't get you anywhere. Number two, don't sit around and say, "Yes, this is awful, but it's his fault and I don't need to do anything differently." That is fundamentally what complacency is all about. One of the things that drives me crazy is what's been happening in Washington DC. It's the center of centers for dealing with the problems in the United States, and, in many respects, for the world. Everything I see in Washington DC has been business as usual, which means the city is crammed with complacency. The talk is about how to bail out company X or Y, but if I look at the way they're operating I see no evidence of major change. It is an unbelievably complacent city and federal government, which isn't going to help us at all. Our new U.S. President, has been using, for months, the term "a sense of urgency". I don't know him personally, I've never met him, but he is obviously a pretty sharp character. I hope, and certainly say a prayer occasionally, that he understands what that means and can therefore understand the problems that are all around him. I hope he's good enough to get other people caught up in his sense of urgency, and get them working to pull more and more people in the Washington scene in the same direction. VB: Are any of the actions of large corporations, including the major banks and North American auto manufacturers, surprising you in their approach to bringing about effective change? John Kotter: The surprise now – depending upon my mood I'm saddened or infuriated – is I'm not sure Detroit can be saved. But if it can be saved it's not going to be by begging for bailouts from Washington. It's not going to be by laying off another 40,000 people. What it will require is deep and fundamental change in how these organizations operate. I don't see or read anything from the people who follow the auto industry that such change is happening. Maybe a little bit is happening at Ford although I don't have first hand data. As for the banks, who knows? The main thing that's happening to them is they're getting killed as they discover many of their assets are toxic, and they're laying off people. We'll see if some of them can use this as an opportunity to change because the odds are our financial system is going to have to change. It can't continue in the same way it has for the last 40 years. How much pain has still to be experienced, and how fast or slowly the changes happen is going to be very much a function of the quality of leadership in those organizations. And of how much real change those "quality" leaders can actually produce – not just shedding jobs and asking for handouts. VB: You cite IBM and General Motors in the 1980s as examples of how success creates size, market power, and an entitlement culture—leading to an "inward focus, a lack of understanding of external reality, and a total lack of urgency to correct the problem." IBM seems to have figured out the need for an ongoing sense of urgency in responding to globalization of markets and competition. Given GM's current crisis, did GM and its unions not learn, over the past thirty years, the basic lessons about the economic and social forces that drive change? John Kotter: No. It's astonishing. GM was something like 2% of the Gross Domestic Product in the early 1950s. They were arguably the most successful company on earth, and if there's ever an example needed of where success corrupted a company GM is it. The organization turned inward, and started ignoring the rest of the world. They could get away with it because of huge market share, and economies of scale. When the competition came at them they didn't see it, they were arrogant about it. When they did see it their capacity and desire to do anything about it was non-existent – talk about complacency! They've been losing market share for 30 years. You could put up a chart plotting their market share over the past twenty years and it would show a steady decline. Leaders of GM being aware of this data didn't solve the problem. VB: They also put a lot of money into research and development, design and fashion over those years. John Kotter: They lost sight of some fundamental things about cars. They went off in the direction, as you say, of fashion. This means they didn't try to innovate anything for the automobile as an automobile, but rather designed new covers for the same engine they'd been building for years. They used substantially the same transmission they'd been using for years and hoped their vehicles would still sell. Their vehicles did sell, of course, as long as they had massive market share, economies of scale, and Toyota was yet to attack. Then they turned the GM companies over to the finance experts, but that didn't help because the finance guys did what they could to make the numbers look good. Remember, even if you keep growing in sales volume, your market share can still be slipping, but if you've got large enough economies of scale, it can be made to look like you've got a relatively good return on investment – profit. Plus they got into the period where CEOs were in office for about four years, and then they would turn it over to the next CEO. It took a year for new CEOs to figure things out, then they had a year or so to try to do something extraordinary, and then they were preparing to turn over the reigns to the next person. That's not how you get major things done with a sense of urgency. The result was leadership by a kind of superficial stylist. The finance people were setting the agenda. And nobody cared about cars as things that serve society – like designing cars that don't burn the petroleum derived fuels we don't have. Some pretty dangerous people have the oil. VB: Is the concept of change often misunderstood in the political process? For example, both candidates for President of the U.S. in 2008 talked about the need for change. John Kotter: I don't know if it is misunderstood but I it has been used many times in the past by candidates as a kind of generic, simple word to try to get a large group of people not happy with the status quo to believe the politician is on their side. The message is the status quo isn't right – we need change. So it has, over the years, grown into a bit of a hollow message. Mr. Obama's campaign used the term too, and I hope when we go to bed we pray that he has some real substance behind the words. VB: It appears the Obama administration has a heightened sense of urgency related to domestic policy and foreign relations. Is the administration effectively using any of the other seven aspects of your eight step process for creating major change? John Kotter: Well step two is putting together strong groups with enough power to make difficult change happen. We've got a teeny bit of indication there is hope. We know some of the people President Obama has drawn in as advisors, or into the administration, are very experienced, very smart, or very determined. It's not a weak group. You could argue over specific appointments but, as a whole, the group is strong. Another part of step two in the eight stage change process is getting the group to work together like a team. Obama is not only pulling in some pretty strong people, he also appears to have a teamwork mentality. Those are good signs. VB: Certainly step three, developing a vision and strategy, is an unfolding process. Step four, communicating the change vision, is probably one of Obama's strengths? He appears to be charismatic and articulate. John Kotter: One would hope this will be the case when we get there – we're not there. The leaders are still trying to figure out what to do. Hopefully, because of his communication skills, the President will be well-equipped to get on the bus and go around the country explaining his plans and getting people exciting about them. VB: You said "get on the bus". Is that a figure of speech or do you really mean that? John Kotter: Both. It's a figure of speech, but get on the bus also literally means not just going to New York, Chicago and LA. He's got to touch, go by, or see the real swath of America because they've got to be on his side. VB: Your books are easy to understand because you don't use jargon and "management-speak". Why do you think so many other authors of management-related books do? John Kotter: It's a shame they do, because they can have good ideas but the jargon will limit how much their books are read and their ideas used. Some people were taught or learned through example that sophisticated ideas require complicated language. They haven't gotten out of this learned syndrome. It's not just the case with management writers, but with people in general, some of them are smart people. One reason for using overly complicated language is to shield the fact they don't fully know what they're talking about. VB: Or they don't think with precision. VB: What still needs to be studied and learned about change? John Kotter: Tons! I understand the broad basics because I've had great opportunities, time, resources, and access to leaders and companies. Even so there are many areas and details I haven't had a chance to study and understand. For example, I've written chapters on how to create the very best short-term wins and do so repeatedly, but there are many details not yet understood. I can give you a certain level of understanding, but it only goes a few feet deep. You could dig much deeper. There's lots left to learn about leading change, and about change itself. VB: What about studying effective leaders – is there enough being done in this area? John Kotter: No. The problem is very few people study leaders. What they do is study people in high-level positions. A CEO does not equal a leader. You can have a CEO who is a brilliant leader, but we all know lots who don't seem to know anything about leadership. At least they don't behave like leaders. So much of what's being written is based on observations of powerful people rather than leaders, and that just confuses. VB: Another whole area for study regarding change could be why so much money has been spent on world problems, like famine, in countries such as Africa, with so little effect. Why hasn't it brought about significant, long-term change? John Kotter: I think you're understanding the very point. All of those efforts are based on some implicit theory of how you produce change. The implicit theories that so many grand schemes have used – that the world banks have used – are bad theories. The theories don't reflect reality. Sometimes these organizations hire terrific people, but they have a process in place that is not right. They're not going to wipe out famine without changing behavior and culture. And they either don't pay attention to this area, or they don't know how to encourage such change, so they fail. If I had a magic wand I would sprinkle dust, not just on the businesses we all know and we care about, but also on many of the agencies and funding foundations that are trying hard to do something to help the billion at the bottom. They fail so often because they don't understand enough about change. VB: A number of authors talk about our outdated, stereotypical view of many developing countries – we see places like Africa in terms of television images of poverty and famine only, when in reality there are a lot of energetic and powerful young leaders in these countries. An emerging group of leaders we don't seem to hear about in the popular media. John Kotter: Yes. If we could encourage those emerging leaders, and give them some resources to work with, it could make a difference. VB: I presume the pace of change in places like India and China will have slowed given the current financial crisis, but no doubt there's lots of pain yet to be experienced there related to change and modernization. John Kotter: Oh yes. A lot! Both of those countries and the ones around them, such as Bangladesh and Pakistan, have a gap between the people who are fully educated for the 21st Century and have some money, and those that are educated for the 17th Century and are starving. That gap is so vast that it alone will drive painful change. I've corresponded with a young man in India who contacted me to talk about his view that India needs to democratize its leadership. What he means by that is getting lots more people, the average voter no matter where they are in society, to provide some leadership. He's trying to energize and empower young people to stand up and lead. VB: Are you currently writing, or do you plan to write, a book devoted to any of the other key steps in the process for creating major change? John Kotter: The book I've got a draft of right now digs into one aspect of stage four, which is the communication of visions and strategies. It's written in a format I haven't used before. The first part is a story about a meeting, and it makes lots of points, but I hope it is also interesting and fun. It's not a fable this time, as was Our Iceberg Is Melting. The second part is more like a traditional business book. It explores why, when people try to communicate good ideas about a new strategy or vision, the whole thing will get shot down. Why that happens and what you can do about it. Indeed, you can do something about it. You can deal with all the folks that stand behind a curtain and shoot at you in clever ways. You can keep alive the good ideas about the direction you ought to be going in, about strategies and visions. You can get people to support the strategies and visions and, once they understand and buy in, you have a solid basis for the rest of the change effort. We're exploring that in the book. VB: Can we look forward to it being published this year? John Kotter: Who knows. These things kind of take on a life of their own. VB: Are there any other authors' books you would recommend? John Kotter: I love history, biography and mysteries, and action films. I like action and mystery, not romance. I like history because, in trying to understand social systems and behavior, I have discovered that the bigger the swath of time you examine, the more it increases the probability that you can draw some useful conclusions. I'm reading one now that looks at the last 50,000 years in terms of how the human species has developed – the theory is we developed faster than you would think from a Darwinian perspective. VB: Murder mysteries as well? John Kotter: I love murder mysteries. VB: You conclude that "a strong sense of urgency is moving from an essential element in big change programs to an essential asset in general". John Kotter: I'm more convinced of that now than I was a year ago when I was finishing the final draft of A Sense of Urgency. As the world moves faster, as the volatility goes up, as we get hit with something like the horrible economic condition we face right now, a sense of urgency is a wonderful capability to have built into an organization. With a sense of urgency they're going to be able to recognize a problem or challenge, and understand and deal with it so much faster and more capably than those organizations and people who are complacent, or who go into a panic and frenzy when they first hear there are serious problems. VB: Is there anything I didn't ask you that I should have? John Kotter: We could talk for six more hours, but you've asked lots of interesting questions. Leaders need to act is if their organization's iceberg is melting, because if it isn't now it soon will be. Major change will not happen unless people in the organization have a sense of urgency. To be effective at generating necessary change, a method is required for altering strategies, reengineering processes, improving quality, or addressing threats to the organization. 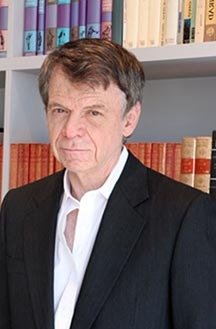 John Kotter, a Professor at the Harvard Business School, is an authority on leadership and change. He is a graduate of MIT and Harvard, and joined the Harvard Business School faculty in 1972. In 1980 he was given tenure and a full professorship. He is author of A Sense of Urgency (2008), Our Iceberg Is Melting (2006), Leading Change (1996), The Heart of Change (2002), John P. Kotter on What leaders Really Do (1999), Matsushita Leadership (1997), The New Rules (1995), Corporate Culture and Performance (1992), A Force for Change (1990), The Leadership Factor (1988), Power and Influence (1985), The General Managers (1982), and five books published in the 1970s. He has created three executive videos on "Leadership" (1991), "Corporate Culture" (1993), and "Succeeding in a Changing World" (2007), and an educational CD-ROM, "Realizing Change" (1998), based on his book Leading Change.